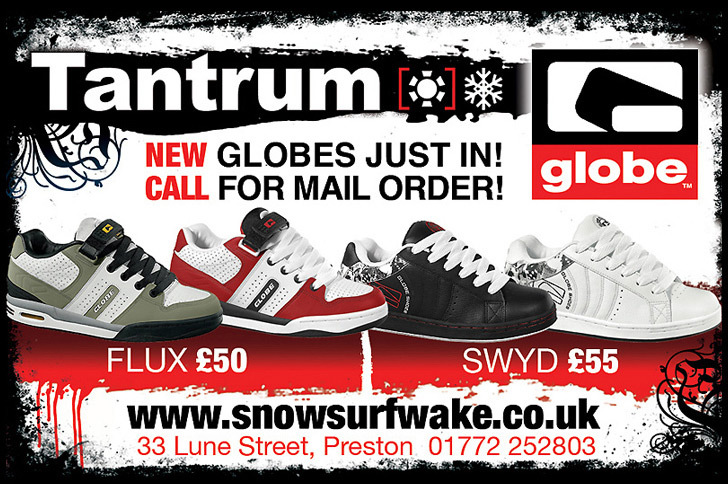 UK based shop Tantrum specialised in snowboarding, wakeboarding, surfing and all the clothes and accessories that fit in to the lifestyle. 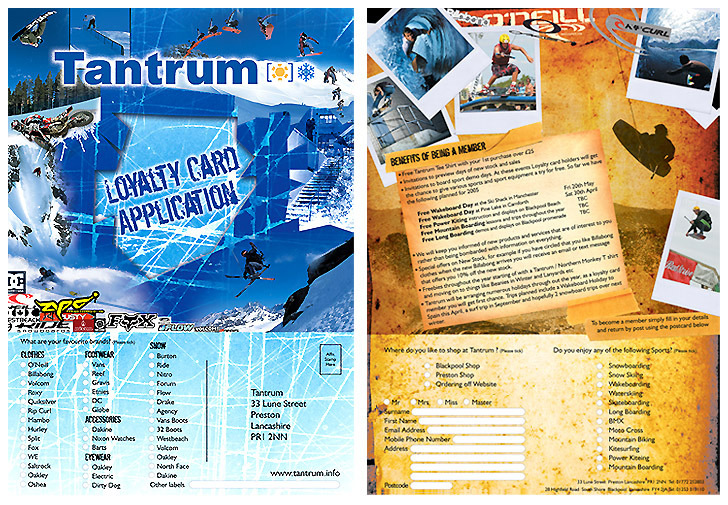 Keen on board sports in general Nic enjoyed producing a range of press ads, banners and signs for the shop. 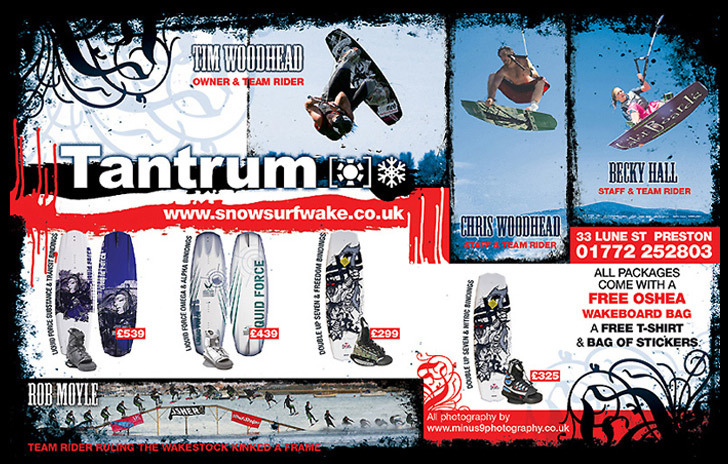 "I own a snowboard / wakeboard shop and am very passionate about it and the sports we cater for, when I am making adverts I am very conscious of how they appear and that they show my shop in the correct manner, that of a rider run and operated company with extremely knowledgeable staff. Nice Design has been making my adverts for 2 years now and even though Nic has moved to Australia we are still working together. One of the reasons for our successful partnership is that Nic has been involved in boardsports for many years and understands exactly the market we are aiming at".